At the end of the Where We Are Tour, One Direction fans had been anxiously awaiting the boys’ new EP Four. The CD dropped November 17, 2014. Many fans were in shock, because of how different the album was from 1D's usual songs, myself included. The boys have mentioned multiple times that as they grow, their music grows with them; this can be proven by many songs on the EP. Most of their songs are what I would call “bubblegum pop”, so it was shocking to see how much their musical sound has grown since their third album, Midnight Memories. 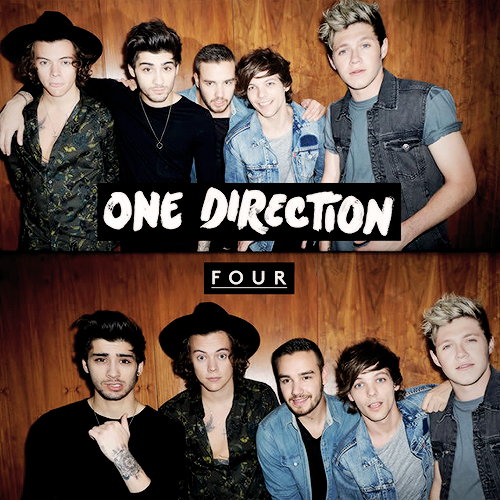 1D's album " Four" was released on 14, November, 2014 on the Columbia/Syco label. The new EP includes their hit singles Steal My Girl and Night Changes, but also includes some of the lesser known songs such as Clouds, Spaces, or Stockholm Syndrome. Personally, I feel that the album has an indie rock pop sound to it, which I find very enjoyable. The songs talk about love, without being a stereotypical love song. A lot of the songs are very relatable and you can tell a lot about the band by paying close attention to the lyrics. I think we can expect a lot from 1D in 2015… The boys have announced their On The Road Again Tour, and will be touring all around North America (again). Very excited to see what this tour holds for us!! Editor's Note: Some of the younger readers were asking about younger music- Actress/ Singer/and Junior ZRockR Journalist Dayva Lewis ( who happens to love Aerosmith and The Ramones by the way!) will be throwing out more info on what is worth your time to check out if you are part of The Teen Scene! 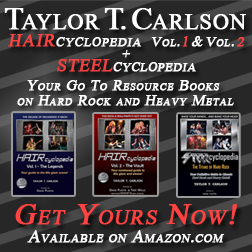 Look for her column monthly exclusively here at ZRock'R ! Meet "The Teen Scene" Columnist Dayva Lewis! Dayva has a lot of experience packed into her 13 years. She loves music and film, and is pursuing careers in both. A professional actress since age 3, her credits span several films, and commercials, including a national spot for Stouffer’s. Being an actor spawned a love of film. She has a soft spot for old musicals like Jesus Christ Superstar, and Grease, modern day love stories like The Fault in Our Stars and 10 Things I Hate About You, 80’s films like The Breakfast Club, and Sixteen Candles, to quirky films like The Wedding Singer and 50 First Dates. As a vocalist she continues to train and prepare for upcoming opportunities. Her love of music goes well outside the norm for her age. Her tastes are eclectic and include bands like the Ramones, Guns N Roses, 5 Seconds Of Summer, Fall Out Boy and yes even some pop and country. In her spare time (which is in short supply as she’s a straight A student) she enjoys reading, volunteering and spending time with friends. UK SINGER/SONGWRITER GEORGE EZRA's DEBUT OF ACCLAIMED ALBUM 'WANTED ON VOYAGE' - CHATS WITH OUR BRAD BAILEY!